John Jenkins is the former mayor of Lewiston, Maine and the recently elected mayor of Auburn Maine. Jenkins is the first African American to serve as mayor in both cities. 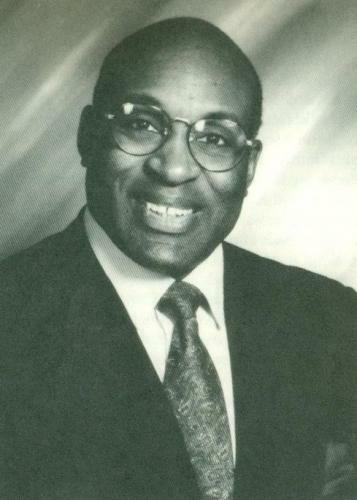 He served as mayor of Lewiston from 1993 to 1995. He has held the mayor’s post in Auburn since 2008. Jenkins was born in Newark, New Jersey on May 29, 1952. He was the youngest of three children, he grew up in an abusive home. Newark during Jenkins’ youth was a cauldron of violence, drugs and gang violence. Jenkins was rescued from these tragic influences by stellar educational opportunities and a firm religious faith. His mother was a devout Christian and a strict Baptist. In 1967, Jenkins, while still in high school, became involved with the American Friends Service Committee, a Philadelphia Quaker organization. Under this program, he spent a summer in Princeton’s University’s Cooperative School Program (PCSP) a program designed to expose students from disadvantaged backgrounds to post-secondary education. The following year Jenkins participated in a similar academic program in Brandon, Vermont and during that summer he worked for the Lowell, Massachusetts Upward Bound Program with working class Blacks and Latinos. In these two programs, Jenkins was exposed to a variety of community and political activities and met people from various walks of life. In the fall of 1970, Jenkins enrolled at Bates College in Lewiston, Maine. The majority of Bates students – Black and White–came from upper middle or affluent backgrounds and they distanced themselves from Jenkins because of his working class background and radical politics. Despite the friction, Jenkins formed many friendships and became a founder of the Afro-American Society at Bates. In 1974 Jenkins earned a psychology degree from Bates. After traveling the world to participate in martial arts contests. Already skilled in Karate and Ju-Jitsu from his years at Bates, he won his first world championship in karate in Japan in 1977. Future competitions earned him a total of four world championships in karate and one in ju-jitsu. Jenkins returned to Maine in 1980 as director of Housing at Bates College. Thirteen years later he entered local politics and in November 1993 and won the Lewiston mayoral race by a three-to-one margin. During his tenure as mayor Jenkins encouraged international business by capitalizing on Lewiston’s French heritage and established partnerships with neighboring towns. His efforts were successful in that by the mid 1990s, Lewiston’s economy began to rebound and the unemployment rate plummeted. Before he left office in December 1995, the city had one of the healthiest economies in Maine. After his first two years as mayor, Jenkins unexpectedly ran for the state senate seat, defeating the conservative Republican incumbent, Paul Madore. Unlike the 1993 mayoral race, the 1995 contest for state senate was filled with personal attacks and racial overtones. Nonetheless Jenkins was able to maintain the support of the majority of voters and won the race by a two-to-one margin to become the first Black state senator in Maine’s 176 year history. After leaving office Jenkins became a business consultant and a public speaker. He recently reentered politics and was elected the mayor of Auburn, Maine in November 2008. Susan Johns, “Jenkins Wins Mayors Seat,” Lewiston Star Journal, December 8, 1993; Elwood Watson, “A Tale of Maine’s African American Mayors” Maine History 40 (Summer 2001): 113-125. Mayors” Maine History 40 (Summer 2001): 113-125.